Get there early for a seat in the amen corner as the Sanders family returns to the Arts Center stage, bringing with them stories of faith and redemption, along with a hymnbook full of memorable music. Let us take you back to a simpler time where you become the congregation of Mount Pleasant Baptist Church and have been invited to the “first ever Saturday Night Sing”. This story is set in North Carolina, 1938 and the Depression has left its mark on the small town of Mount Pleasant with numerous workers at the local pickle factory finding themselves out of work and sorely in need of cheering up. 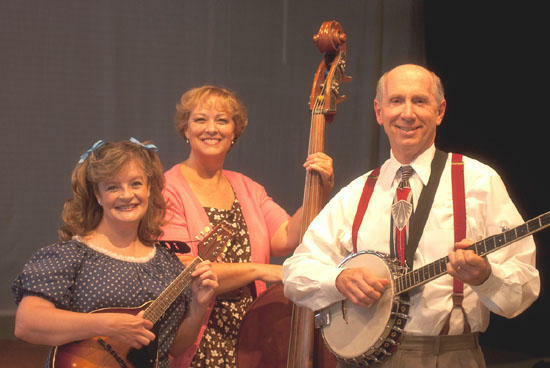 Pastor Mervin Oglethorpe hosts this Sanders Family Singers musical reunion precisely for that purpose, introducing the singing Sanders family, who perform their traditional and bluegrass gospel songs for the members of the Mount Pleasant Baptist Church. Directed by Matt Smith, this cast includes Karen Wainwright as, the vocally-challenged daughter, June, David Cummings, as the timid and eccentric Reverend Oglethorpe, John Blankenship as Burl, the patriarch of the family, Debbie Winton as Vera, Burl’s wife, David Blankenship as Burl’s brother Stanley, the prodigal sinner who has come home, Mary Ellen Smith, as the youngest daughter and David Winton as her shy twin brother Dennis. Smoke on the Mountain is sponsored by Franklin’s Printworks and is part of the 2010 Stagedoor Series sponsored in part by The Old Feed Store Antique Mall. The Arts Center is located on 1424 John Bragg Highway, just west of the town of Woodbury, approximately 20 minutes from Murfreesboro, Manchester, and McMinnville and one hour southeast of Nashville. Box office hours are 10:00a.m. to 4:00p.m., Monday through Saturday.